You don’t have to spend hours at home cooking to make your next party taste top notch. Leave it to some of the best professionals in the business to cook for your next event! Whether you’re looking for an Italian feast or the best barbecue options in the state, Wisconsin’s catering companies will give you exactly what you’re looking for. Here are the 10 best! Blue Plate is located in Madison, Wisconsin, and caters for all types of events. Whether you are looking for a wedding or a corporate event they’ve had 20 years’ experience in the food providing world. Their talented team of chefs will help create the perfect menu for your event. More commonly known for their restaurant in downtown Wisconsin Dells, Stuff’s Restaurant also provides catering. They have a ton of tasty options for the entire event. From drinks to buffet options to elegantly serves sit down dinners. You’ll order from Stuff’s Restaurant time and time again. At MJ’s Market you’ll find catering options as simple as a tray of cheese and sausage to entire dinners. You can customize your menu to anything you desire. Check out their discounts on large groups and children’s events. Big Boar BBQ has some of the best barbecue in the La Crosse area. Order up for your next family cook out, graduation party, wedding, or if you just don’t want to cook. From cheese plates to dinner rolls, and a full-service beverage menu. You’ll love Big Boar’s meat choices. J&J Catering is the perfect place to get high quality meats and meals without the stress of cooking yourself. Customize your event needs from the “One-Meat Wonder” to buying “Bulk Meats” for your event. 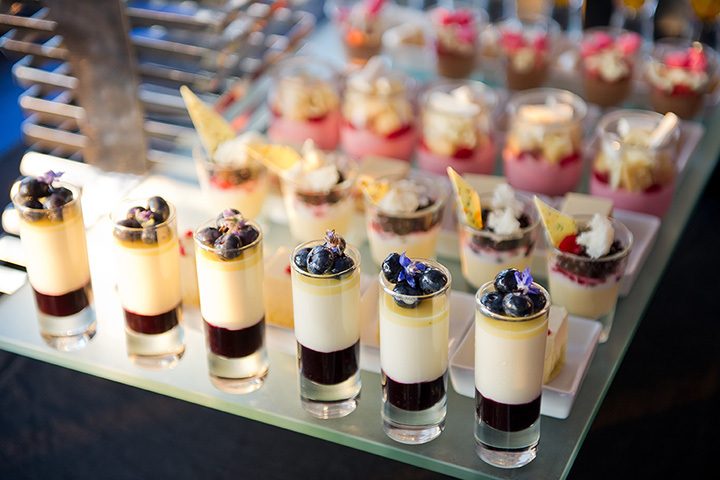 Top the event off with tasty tray options! Tall Guy Catering pushes high quality and locally-sourced ingredients together in the most fabulous dishes. Imagine mouthwatering dishes at your event, for any budget! Tall Guy Catering is easy to work with and provide great customer service. Located in Waukesha, Wisconsin, Chef Jack’s Catering is a local favorite. For the past 30 years, Chef Jack’s have been providing top notch culinary dishes from large events throughout the Milwaukee area. They offer a wide variety of menu options for all your guests’ needs. Pogy’s Catering have been serving the greater La Crosse area for over 30 years. Cater your graduation, wedding, birthday, corporate event—and know that you’ll get exceptional customer service and tasty dishes every time. Your event can even have dishes from their signature restaurant, Pogreba! You’ll love that Elite Catering uses fresh and local ingredients to deliver your events the best tasting dishes in the Baraboo area. They’ve had 20 years’ experience homemade food, making them one of the best in South Central, Wisconsin. Rockman’s Catering has been serving up dishes to Central Wisconsin for the past 26 years year. They are always coming up with new menu items. Ask about their specifically regional and ethnic menu options that will give you event the sentimental touch it needs!